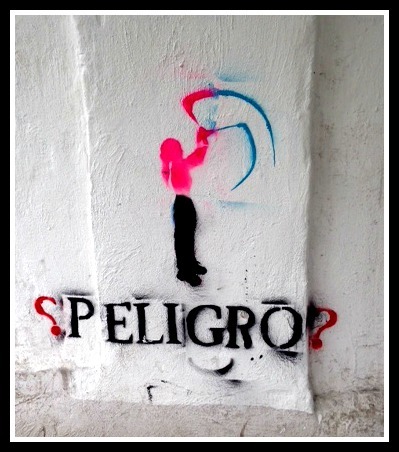 There are times when one wonders if any students do indeed actually hit the books at Bogotá’s Universidad Pedagógica. As a national public university, the alumni of this prestigious institution receive classes from some of the best teachers around. 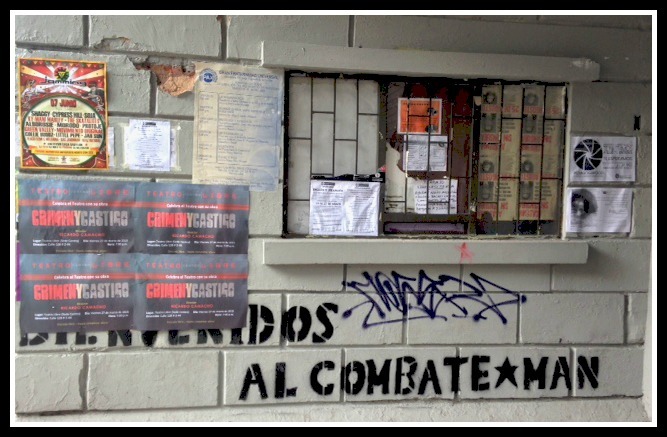 But, were you to wander around – as I did this Sunday – the Universidad Pedagógica’s small campus located on the Calle 72 and Carrera 11, you might be forgiven for forming the wrong impression of the place. Creative political graffiti festoons the buildings and is about as ubiquitous to the campus as bunting to an English village fete. And of course, there are the not so creative but no less significant messages scrawled here too. 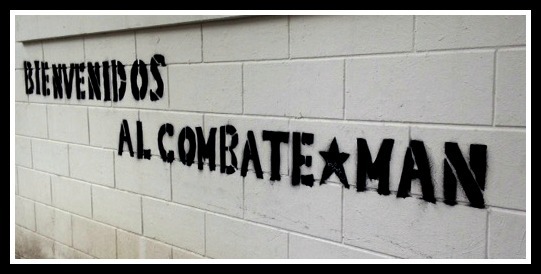 The Universidad Pedagógica houses its fair share of militants to say the least. 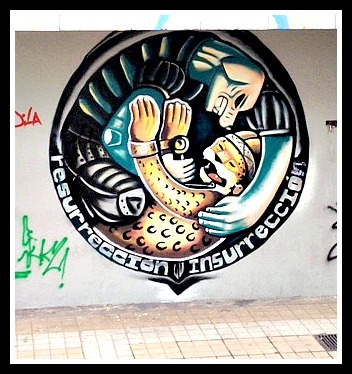 But, the artwork here offers a visible and accessible litmus test to current events in Colombia. 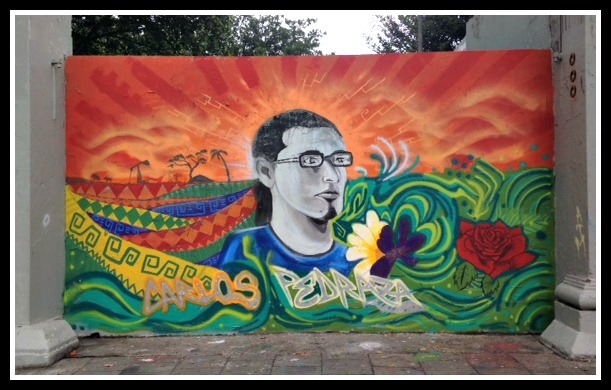 On January 21 2015,the body of social leader Carlos Alberto Pedraza (33) was found in the rural area of Gachancipa, Cundinamarca. He had been shot in the head. 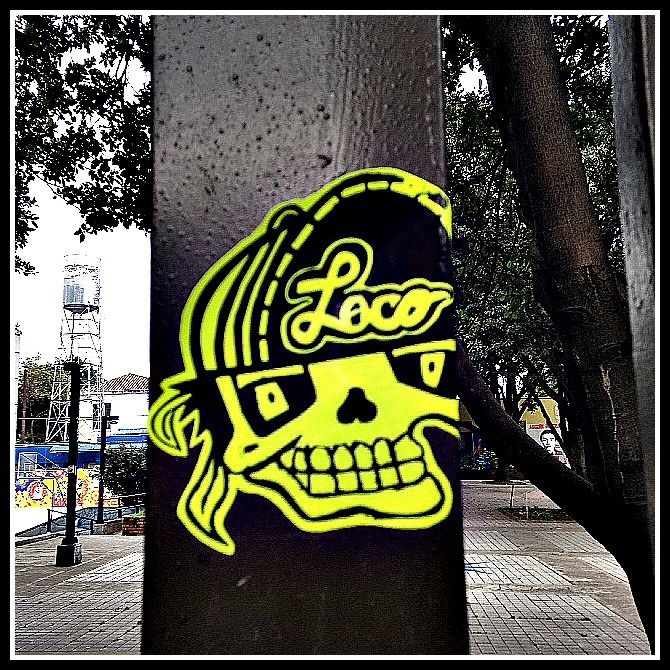 I have written extensively about Bogotá’s graffiti scene and have ensured that if I accompany new visitors to the city such as the Sunday Times’ AA.Gill or the Globe and Mail’s Stephanie Nolen, the Carrera 26 and beyond are key points on my route. 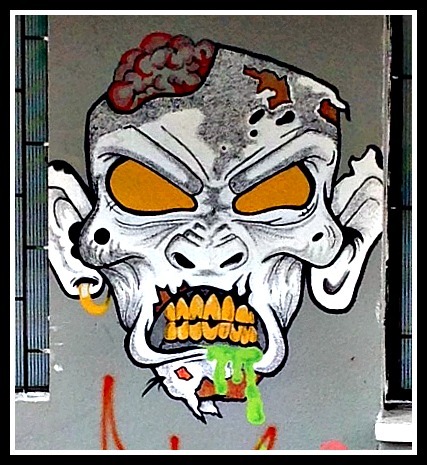 I am not certain of the significance of this graffiti, but it certainly caught my eye! The Universidad Pedagógica feels different though, perhaps because it is located just shy of the stock exchange, the headquarters of many multinational firms and the leafy district of Rosales. 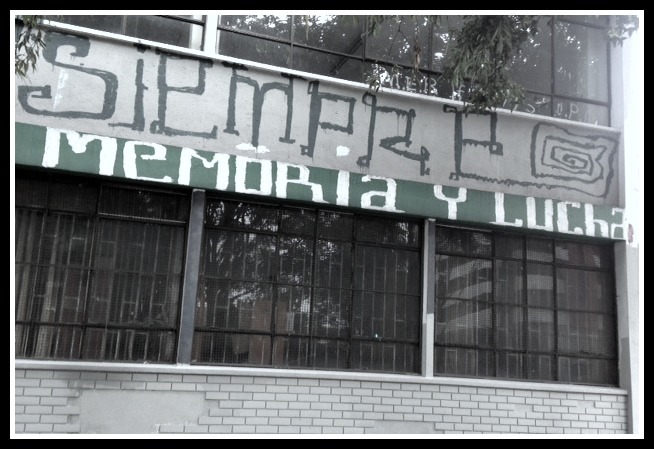 And while this university makes up part of the Universidad Nacional, perhaps the Pedagógica’s location makes it feel more militant than the central campus of the “Nacho” (Universidad Nacional) down on the Carrera 30? 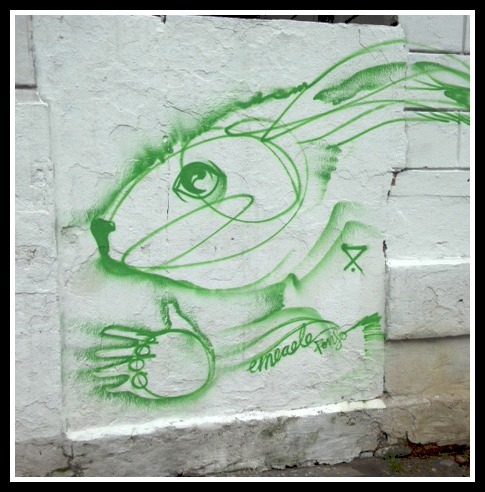 Is this inspired by Jefferson Airplane’s “White Rabbit“? 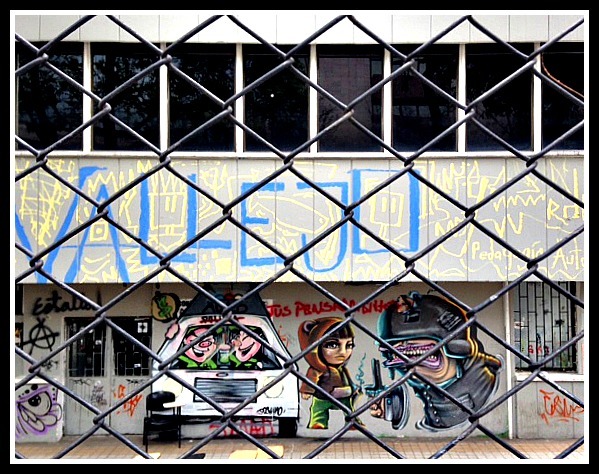 One day I will get inside the Universidad Pedagógica and will be able to scan all of the artwork and graffiti displayed therein. But, today being Sunday the guards were not forthcoming although they were prepared to share a few thoughts with me. Yes, the teachers are amongst the best in the country and yes, the students are militant! 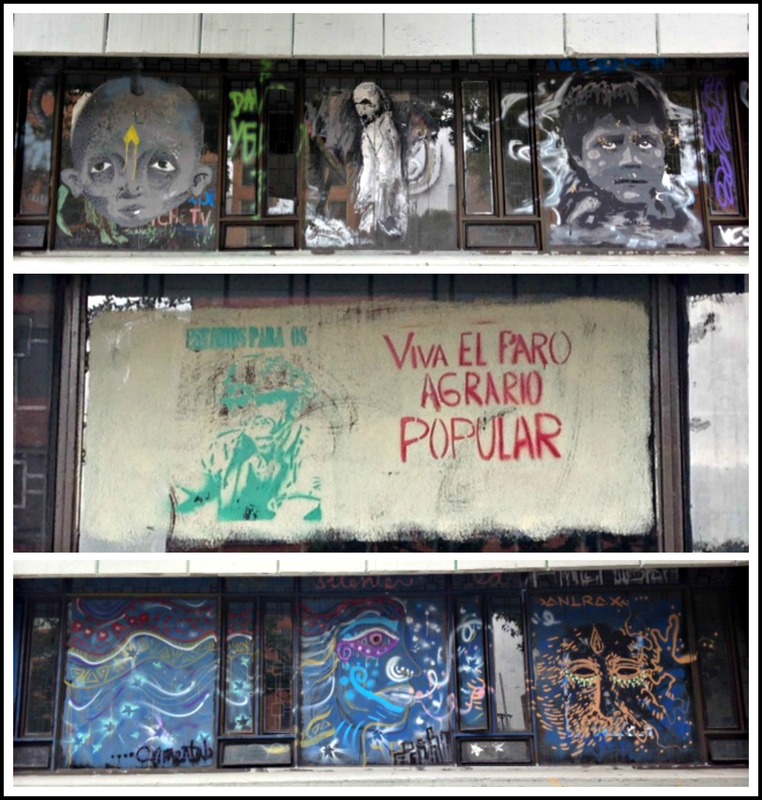 A selection of three sets of windows with varying messages including a clear reference to the Agricultural Protests. 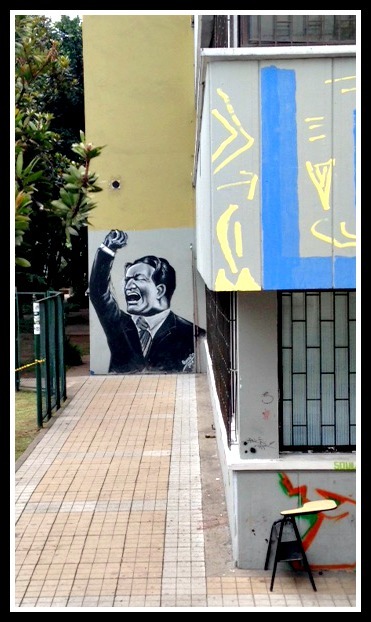 And of course, this graffiti is important and the messages expressed are key to the democratic process in Colombia. 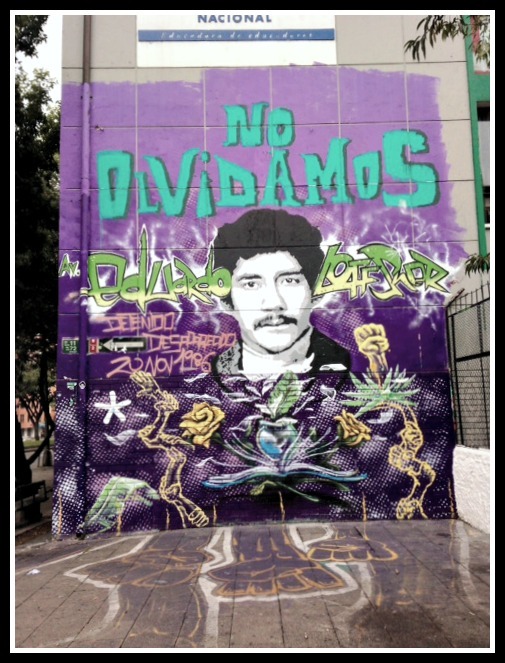 This piece pictured above is possibly the most impacting, in part due to its visible location right on the corner of the Carrera 11 and Calle 72 and its provocative colours. I have yet to decipher the name but one imagines that the person pictured here met a similar end as to Carlos Alberto Pedraza. 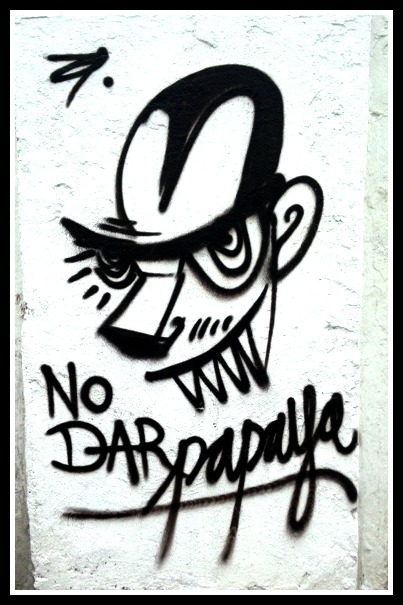 “No Dar Papaya” a Colombian phrase explained best here! 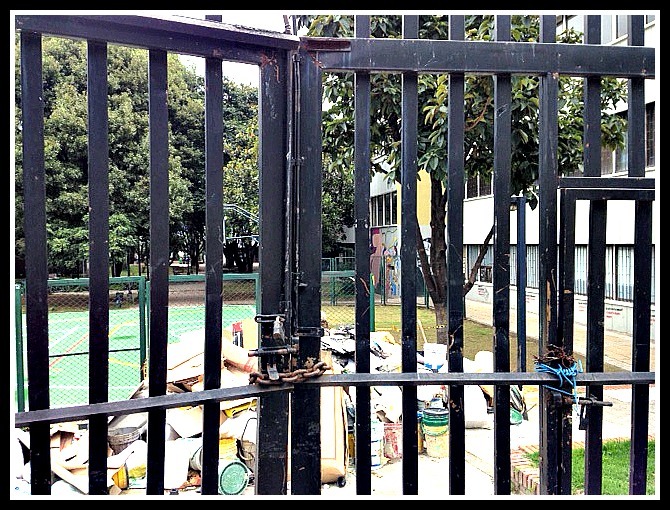 The students and I suspect the faculty of the Universidad Pedagógica are seemingly continually on strike, protesting something or another. 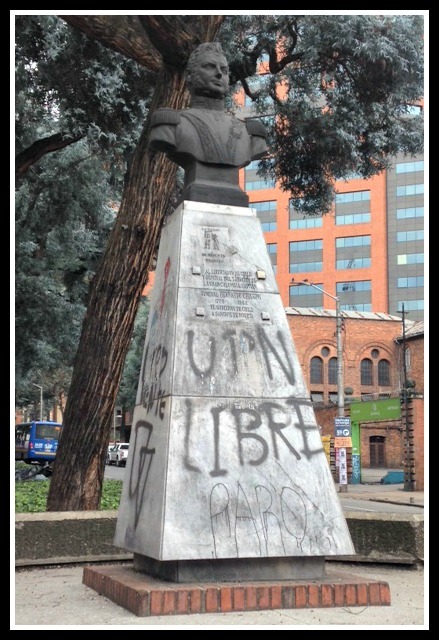 If you are in Bogotá and find yourself in the neighbourhood, stop by to take a look at the artwork since it is continually changing. However, should your nose twitch at the telltale eye watering scent of tear gar and see the riot police (ESMAD) nearby, you are advised to move on elsewhere! 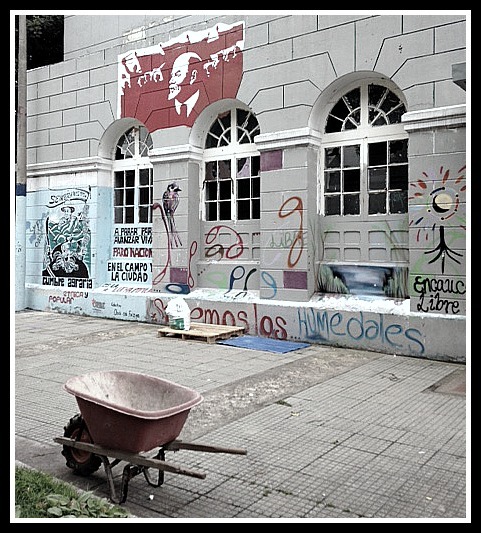 This entry was posted in Journalism and tagged agricultural protests, Bernardo O'Higgins, bogota, carlos alberto pedraza, graffiti, in bogota, jefferson airplane, Jorge Eliecer Gaitan, no dar papaya, political graffiti, protests in colombia, Restaurant critic AA Gill in Bogota, Stephanie Nolen, Universidad Pedagogica, university in Bogota. Bookmark the permalink.